Endoscopy, magnification and color contrast will help make diagnosis and treatment less invasive and more effective. The majority of dentists practice in the “naked eye” realm, but diagnostic and treatment errors of mere microns can lead to early treatment failures. A growing number of practitioners are adopting higher magnification and improved lighting for better visualization. Although the popular 2.5x magnification loupes are a step toward better patient care, practitioners experienced in high-magnification dentistry consider that level of magnification inadequate. They have benefited from the introduction of the clinical operating microscope1 and more advanced optical loupes, enabling them to diagnose and treat dental disease at 4x to 20x magnification with excellent illumination. Dedicated and persistent early clinical operating microscope (COM) practitioners developed skills in using high magnification and ultimately discovered the need to change their techniques, instrumentation, material choices and ergonomics with regard to patient care. Dentists not using high-magnification techniques tend to question the need to change, but the dental specialty of endodontics – root canal therapy – has nearly unanimously embraced the dental COM. More than 20 years of COM experience has yielded advancements in image documentation, lighting and patient care. However, advancements available to medicine, microscopy and other related disciplines could be very useful in dentistry. Endoscopy is a proven, less invasive diagnostic and treatment option in various specialties of medical practice. Some early attempts at introducing dental endoscopy into the fields of periodontics and endodontics have met with limited success. One commercially available dental endoscope was the Perioscope from Perioscopy Inc. of Oakland, Calif.2 It is no longer being manufactured, but a small number of practitioners (dentists and dental hygienists) still use it because of its unique treatment advantages. The ability to visually control the removal of biofilms, calcified deposits and other periodontal etiologic factors has been an effective, less invasive and arguably more thorough treatment of periodontal disease. Another approach to enhanced visualization is optical contrasting. 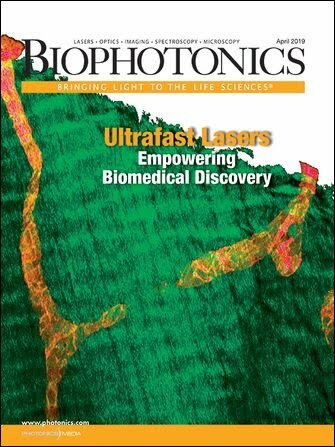 Biologic tissues and organisms that absorb, reflect or autofluoresce upon exposure to specific wavelengths of light energy and radiation spectra have led to new approaches in the identification of tissue changes. Narrow-band imaging has been introduced to dentistry as a way of detecting tissue changes related to premalignant or malignant changes. One narrow-band imaging instrument available to dentistry is the VelScope from LED Medical Diagnostics Inc. of Burnaby, British Columbia, Canada. A study conducted at the University of Washington School of Dentistry in Seattle3 suggested that a protocol of VelScope examination of each patient, compared with a white-light exam, could be useful in detecting early intraoral tissue changes. If the VelScope exam yielded an area of change that could not be seen in the control exam (white light), it was suspect. Critics of the system are concerned with the many false-positives and the probability that it will lead to unnecessary procedures; i.e., surgical biopsy or referral to specialists for definitive diagnosis. The false-positives occur with any condition that increases local vascularization (increased blood flow), which includes any localized inflammation or trauma. A patient can be re-evaluated in 15 days to rule out spontaneous healing of inflammation or trauma. Although it is not a definitive diagnostic technique, it is a noninvasive screening device with the capability of early recognition of unfavorable neoplastic changes. The VelScope examination could be improved with more magnification and should be accurately documented with high-quality images for follow-up of suspect areas (Figure 1). Figure 1. Normal cheek tissue with trauma (cheek bite). Raised tissue is linea alba from repetitive bite trauma (hyperkeratinized tissue), wound and inflammation visible. In the VelScope image on right, note fluorescence of hyperkeratinized tissue and absorption in areas of increased inflammation and vascularization. The hyperfluorescing object at the top is a tooth. Courtesy of Jeffrey D. Hamilton, DDS. The VelScope’s wavelength spectrum also elicits autofluorescence of natural tooth structure. This can be distracting (Figure 1) when examining soft tissue areas adjacent to the teeth, but there may be an interesting benefit of this phenomenon: autofluorescence of tooth enamel and dentin. Many of the aesthetic dental materials (composite resins, porcelains) are hard to differentiate from healthy tooth structure during removal, especially with high-speed rotary burs under water spray. The VelScope effect producing autofluorescence of natural tooth structure creates a visual contrast with the restorative dental materials (Figure 2). This effect could be useful to precisely remove dental materials without damaging the underlying natural tooth structure. Figure 2. White-light and VelScope imaging of restored teeth. The area of relative absorption at the top is porcelain, and the hyperfluorescing areas in the middle of the teeth below are composite filling material. Courtesy of Jeffrey D. Hamilton, DDS. The techniques have greatly improved identification of dysplasia and neoplasia when compared with traditional white-light examination, but the results do not lead to a definitive diagnosis. These techniques still hold promise in the early detection of oral lesions leading to malignancies. Although there is a valid concern about false-positives resulting in unnecessary patient treatment, there has been limited data with early detection of dysplastic changes and the conversion probabilities to malignancy. These optical diagnostic instruments should allow early detection, documentation and follow-up studies of precancerous oral mucosal disease. The scanning fiber endoscope (SFE), a recent advance at the University of Washington in Seattle,5 should be an exciting technology to introduce to medicine and dentistry. It allows for a small-diameter endoscope – 1.1 to 1.6 mm – with enhanced focal and field-of-vision capabilities. A single fiber laser light source is directed in a spiral scanning pattern with piezoelectric actuators. The concentric fibers collect the image data, which is processed into high-resolution images – real-time video or captured stills – with a broad range of focal diameter and depth of field. The small tip has a field of view ranging from 1 cm to less than 1 mm, simply by moving in closer. Figure 3. View of the end of a scanning fiber endoscope (SFE) probe and the probe mounted in a Perioscope handle. The image also shows the pattern of light emitted from the SFE. Wider portions provide wide-field imaging, while the narrower cone produces higher magnification. Courtesy of Jeffrey D. Hamilton, DDS. The SFE matches many intraoral cameras currently used in dentistry and can easily attain the magnification of a traditional endoscope (such as the Perioscope). The light source is an RGB tunable laser, and the system can digitally filter wavelengths during image processing, enabling narrow-band imaging techniques in high resolution from a wider field of view to high magnification simply by positioning the probe. Figure 4. SFE imaging of a molar, increasing magnification left to right. Courtesy of University of Washington, Fluke Hall, Bioengineering, Human Photonics Laboratory. An SFE scope was inserted into a Perioscope handle (Figure 3) to evaluate oral mucosa and hard-tissue imaging. The cone of light in this image illustrates the broad range of field of view possible with the SFE. Intraoral application of the SFE in the Perioscope handle to capture the biting (occlusal) surface of a molar (Figure 4) imaged in three fields of view and corresponding magnification showed ease of use comparable to that of dental intraoral cameras and magnification similar to that of a clinical operating microscope. Oral mucosal images were easily attained in several areas (Figure 5), including a submandibular gland duct orifice expressing saliva, minor salivary glands in the soft palate with capillary loops visible, and cheek tissue with superficial capillaries clearly defined. The SFE scope was easily passed to the posterior over the tongue to view the upper pharynx, which is very difficult with a mirror and macrophotography or COM imaging. Narrow-band imaging studies have been conducted with the SFE in esophageal studies, which may enable less traumatic endoscopy and evaluation for malignancies than traditional endoscopes allow. The studies also could lead to uses in oral mucosal evaluation and better screening of suspicious findings than other, less-magnified techniques (VelScope or similar). Figure 5. SFE soft tissue imaging: left, normal cheek tissue; center, submandibular gland duct (Wharton’s duct under the tongue) captured midflow of saliva expression; right, view of soft palate with minor salivary glands and capillary loops top and top left. Courtesy of University of Washington, Fluke Hall, Bioengineering, Human Photonics Laboratory. SFE endodontic and periodontal applications on patients will not be conducted until grant support and human study approval (in progress) are obtained. However, based on extracted tooth models and normal oral mucosa, the SFE promises to be a valuable instrument in medicine and dentistry. Jeffrey D. Hamilton, DDS, has a private practice in general dentistry in Olympia, Wash., and is an affiliate faculty member in the Department of Oral Medicine at the University of Washington School of Dentistry; email: info@jeffreydhamiltondds.com. He would like to thank Eric J. Seibel, PhD; John Kwan, DDS; Edmond L. Truelove, DDS, MSD; and Global Surgical Corp. (microscope). 1. H. Apotheker and G.T. Jako (1981). A microscope for use in dentistry. MicroSurg, Vol 3, Issue 1, pp. 7-10. 2. J.Y. Kwan (May 2006). Micro ultrasonic periodontal endoscopy. Contemp Oral Hyg, pp. 51-58. 3. E.L. Truelove et al (July/August 2011). Narrow band (light) imaging of oral mucosa in routine dental patients. Part I. Gen Dent, July/August, pp. 281-289. 4. D. Roblyer et al (2010). Comparison of multispectral wide-field optical imaging modalities to maximize image contrast for objective discrimination of oral neoplasia. J Biomed Opt, Vol. 15, Issue 6. 5. C. Lee et al (2010). Scanning fiber endoscopy with highly flexible, 1-mm catheterscopes for wide field full color imaging. J Biophot, Vol. 3, Issue 5, pp. 385-407. 6. M.B. Blank et al (2011). Laser scanning dental probe for endodontic root canal treatment. Proc SPIE 7884, p. 788403.